1) What are the fundamental and policy design barriers to faster growth in gas consumption in India, and can these be overcome? 2) What are the untapped opportunities for increasing the gas supply in the country, from domestic production as well as imports, and what might constrain any increase? 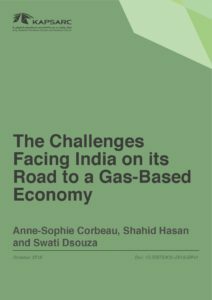 3) What lessons in policy and market design could India adopt from other rapidly growing gas markets, especially those with similar industrialization and environmental targets? The policy directions identified here would be of value to Saudi Arabia, which also seeks to increase the use of gas in its economy.